Will the Trump Administration Begin Family Separations Again? The horrifying and tragic legacy of the Trump administration’s family separation policy—which allegedly ended by executive order in June this summer—is far from over. Even with many children still waiting to be reunited with their parents, the administration is considering resuming family separations once again. Nearly 250 migrant children reportedly remain separated from their parents. Of those, 125 children have made the decision to stay in the United States without their parents (who have already been deported) to seek asylum. Another 120 children remain separated from their parents and still hope to reunify with them. These separations don’t tell the full story of the damage done by the “zero tolerance” policy. A recent report released by Amnesty International reveals that over 6,000 “family units” may have been separated from April 19, 2018 until August 15, 2018—over twice as many as the government alleges. Many had hoped that the United States could close this shameful chapter of immigration policy. But just last week, media reports suggest that the administration is indeed considering a different—though equally insidious—form of family separation. Under this proposal, benignly termed a “binary choice,” immigrant families would either remain together in jail or agree to be separated, with the children being transferred to the Office of Refugee Resettlement (ORR) and the parents remaining behind bars. The proposal—if implemented—would lead to the prolonged detention of many migrant children, as many parents would not be willing to release their children to government custody, particularly given the horrors that unfolded this summer. 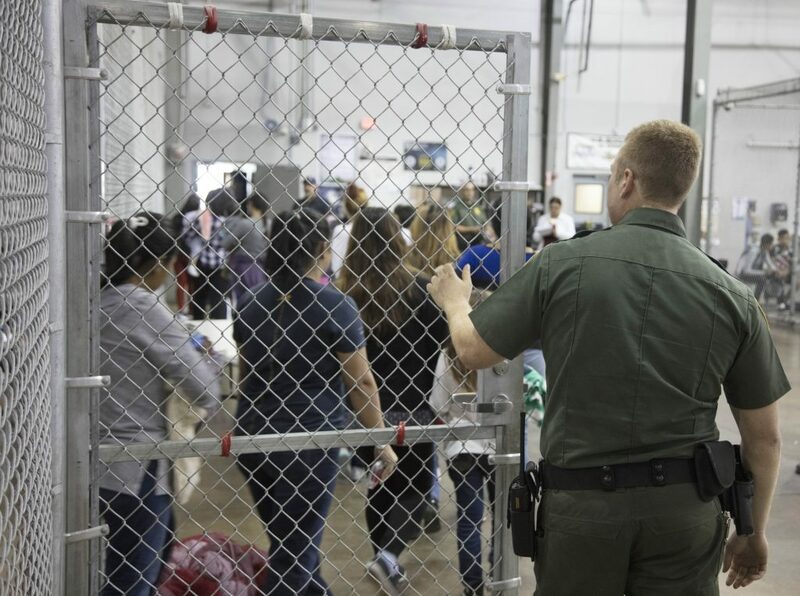 Currently, there are nearly 80 reunified mothers and their children who have been detained for many months at the country’s largest family detention center in Dilley, Texas. Many of the mothers wrote letters to the public talking about their experiences being forcibly separated from their children, and their continued detainment with no end in sight. These stories illustrate the horrors that will again unfold should the administration pursue another policy of family separation. The “binary choice” option is one of several that the administration is reportedly considering to respond to the arrival of a migrant caravan from Central America and to address the high numbers of families and children recently arriving at our Southern border in search of asylum. But the concerns about the number of arrivals are being wildly overstated; data released by U.S. Customs and Border Protection (CBP) shows that overall migration is actually at a historic low. Numerous accounts have surfaced over the past several months of extensive coercion and misrepresentation used by DHS agents to facilitate the separations, which begs the question: what will prevent the government from resorting to the same abusive and coercive practices if is permitted to reintroduce a similar policy?